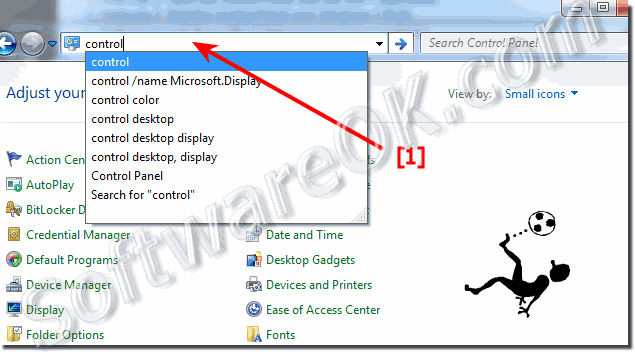 3 Methods to find, open, start or run the Windows-7 Control Panel! 1.) Methode-1: Open the Control Panel over the Win-7 Start Menu. 2.) Methode-2: Start the Control Panel over Windows-7 RUN. 3.) Methode-3: Call the Control Panel over Windows-7 Explorer! # Open the Control Panel via the Win-7 Start Menu. Press the button [Windows-Logo] on your keyboard. In the Windows-7 Start Menu simply click "Control Panel"
(Image-1) Open the Control Panel over the Win-7 Start Menu! # Call the Control Panel over Windows-7 Explorer! or "Control Panel\All Control Panel Items" to see all Windows-7 Control Panel Items! (Image-3) Call the Control Panel over Windows-7 Explorer! 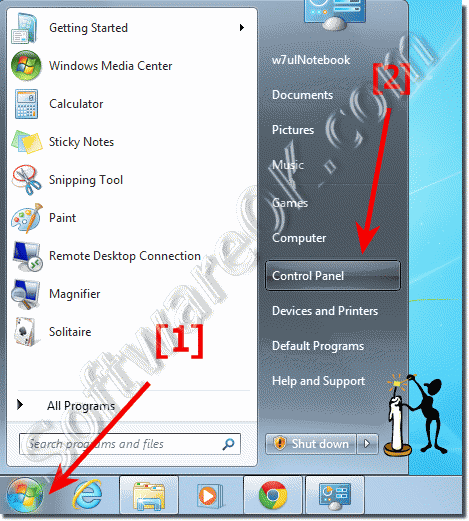 Windows-7 - FAQ-68: How to open Control Panel in Windows-7 start (find, run, start)? Improve the readability of text in windows-7 via Clear-Type settings! Win7 Control Pane, how to open? 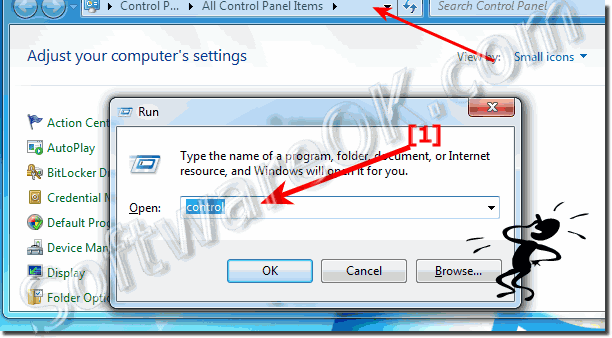 Run the control Pane, how to open it in Windows-7? Find Windows 7 Control Pane ?